Since giving up on Google Voice, we’ve been extolling the virtues of SIP URI dialing which gives you unlimited free calls to anyone else in the world that happens to have their own SIP URI address. SIP URIs look very much like email addresses except they’re used to share phone conversations instead of email messages. And, as we’ve mentioned previously, if everyone in the world had their own SIP URI, paying for phone calls would become a thing of the past. We hope you’ll join us in making that happen. As a fallback, give our $50 credit at Skyetel a try. One of the drawbacks of Asterisk® PBXs using the FreePBX® GUI has been the inability to place outbound SIP URI calls from SIP phones registered as extensions on the PBX. Today we first want to address that shortcoming. Our SIP URI dialing solution for Asterisk should work with any FreePBX-based implementation including Incredible PBX® and Issabel as well as on Raspberry Pi platforms. We’ll wrap things up by providing some tips on obtaining and deploying your own SIP URI at little or no cost and pointing you to some excellent resources that facilitate calling millions of SIP phones around the world at zero cost. All you need is an Internet connection, and we’ll point you to a terrific softphone to begin your adventure. Let’s begin by examining why SIP URI dialing is a problem with FreePBX. The reason is pretty simple. 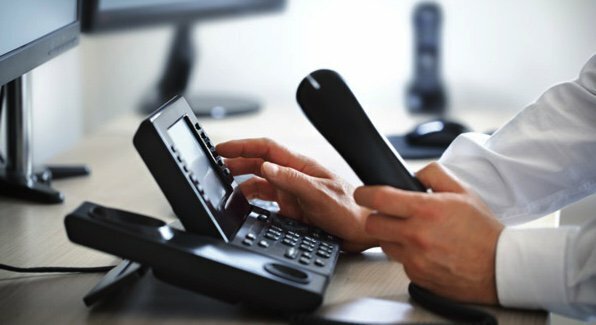 FreePBX interprets dial strings by matching them against some rules to determine whether you’re making an internal call or a call outside your PBX. It matches internal calls against a list of available internal extensions. External calls are matched against rules defined in your outbound routes which are associated with trunks. Since SIP URI calls don’t match any extension or outbound route, the caller receives a congestion tone. The traditional workaround has been to define a custom extension using the FreePBX GUI which points to a SIP URI. Then the user can dial the custom extension, and the call will be routed to the defined SIP URI. These custom extensions also can be defined in extensions_custom.conf within the from-internal-custom context. For example, the following dialplan code would let users dial 411 to reach AT&T’s Toll-Free Directory Assistance: exten => 411,1,18005551212@switch.starcompartners.com. But there’s a better way. Wouldn’t it be nice to be able to dial any SIP URI from a softphone or to store SIP URI addresses in the phonebook of your SIP phone?1 Well, now you can. Before we actually put the dialplan code in place, let us explain how this will work. First, FreePBX still needs to be able to distinguish a SIP URI call from a "regular call." The reason this gets tricky is because Asterisk typically throws away the destination hostname when you place a call. For example, calls to 8005551212 and 8005551212@sip2sip.info are processed by Asterisk in exactly the same way, i.e. dropping the host address before dialing. You also need to test a traditional outbound call (e.g. 8005551212) immediately after you finish the install procedure. Monitor the Asterisk CLI (asterisk -rvvvvvvvvvv) and observe the first few lines of the log after you place a call. The second line will show SIPDOMAIN which should be either the FQDN of your server or an IP address depending upon how you registered your softphone extension. The first line should display the MyDomain variable. If it is empty or doesn’t match the SIPDOMAIN entry, the outbound call will fail. To fix it, add an entry to the Asterisk database from the Asterisk CLI using syntax like the following: database put MyDomain FQDN 10.0.0.11 or database put MyDomain FQDN sip.me.com where 10.0.0.11 or sip.me.com matches the SIPDOMAIN entry shown on the second line. Then retry your outbound call, and it should complete successfully. We’ve tested this back to the early Asterisk 11 days with FreePBX 2.11 without any problems. If your calls still fail, then you will probably need to remove the new code from your platform until you upgrade to a more current version of Asterisk and FreePBX. The code hasn’t been tested with FreePBX 14 and 15. Finally, you may want to manually set the CallerID for your outgoing SIP URI calls. From the Asterisk CLI, issue a command for every extension from which you will be placing SIP URI calls, e.g. extension 701 syntax: database put 701 user_sipname "Nerd Uno"
To enable SIP URI dialing from phones registered with your Asterisk PBX, we’ll modify the dialplan in order to detect SIP URI dial strings entered into a softphone or retrieved from a phonebook associated with almost any SIP phone. When a SIP URI dial string is detected, we’ll send the call out as requested rather than passing the call through the outbound routes and trunks associated with your PBX. All of this dialplan code is open source and is licensed pursuant to the GPL2 license. SECURITY ALERT: Never use the SIP URI MOD on a server with a publicly-exposed SIP port as it is possible for some nefarious individual to spoof your FQDN in the headers of a SIP packet and easily gain outbound calling access using your server’s trunk credentials. FEB. 21 UPDATE: There was a bug in the original code which caused some internal calls to fail including calls to a DISA extension. Simply install the application again, and it will overwrite the previous version. MAR. 5 UPDATE: A bug was discovered in previous releases that treated 911 and 933 calls as internal calls when, in fact, they should have been routed out using your outbound trunks. Simply install the application again, and it will overwrite the previous version. MAR. 13 ALERT: This software is not compatible with the Debian, Raspbian, and Ubuntu platforms. You can find dozens of recommendations for hardware-based SIP phones both on Nerd Vittles and the PIAF Forum. For today we’ll get you started with one of our favorite (free) softphones, YateClient. It’s available for almost all desktop platforms. Download YateClient from here. Run YateClient once you’ve installed it and enter the credentials for an extension on your PBX. You’ll need the IP address of your server plus your extension number and its password. Fill in the Yate Client template using the IP address of your PBX as well as your extension credentials. Click OK to save your entries. Hi. It seems it’s interfering with Follow me functionality when forwarding to an external number. It thinks is a uri dialing. Found the issue. And btw, your Gotoif conditions had ")" missing. When a CallForwarding is executed MyDomain variable will be empty so will execute macro-uridial. Will test during these days but working now.